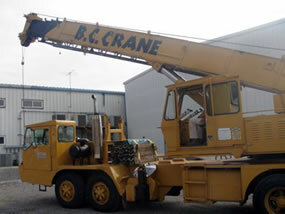 Chamberlain Mechanical Service can also provide your business with crane and rigging service. Our crane and rigging operation B.C. Crane has highly skilled crane operators who can tackle just about any job. We can save your business money on large scale projects by providing our very own 35 ton crane or we can handle any other heavy lifting your business may need. For smaller jobs we can also provide our own 12-ton boom truck.